Presto Restoration Products & Services provides commercial building restoration, building maintenance & building cleaning services in Syracuse, New York, and surrounding areas. We pride ourselves on providing the highest quality workmanship in a safe and professional manner. In order to provide the best services possible, we utilize the newest and most innovative building restoration, maintenance and cleaning products, tools and cleaning technologies. Serving Syracuse, New York, Presto Restoration Products & Services is known throughout our industry for our utmost professionalism in providing building restoration, maintenance and cleaning services. Over the years, we have serviced some of the finest commercial properties in Syracuse, New York and surrounding territories. 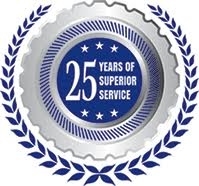 Presto Restoration Products & Services constantly strives to be the most professional service company in Syracuse, New York, and years of experience, has afforded us the ability to greatly increase our efficiency regarding the performance of the services we offer. Increased efficiency results in lower building restoration, maintenance and cleaning costs for our clients. Decreased costs for our clients allows us to secure a large volume of work utilizing our cutting edge restoration, maintenance and cleaning service technologies. This volume has afforded us a substantial amount of purchasing power from our vendors, further lowering our cost of goods sold. Property and building managers, building owners, building engineers and construction contractors alike can benefit from our commercial building restoration, building maintenance & building cleaning services in Syracuse, New York.